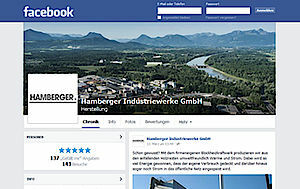 Hamberger is well represented in social media circles with its Group presence and also brand presences for the individual subsidiaries. 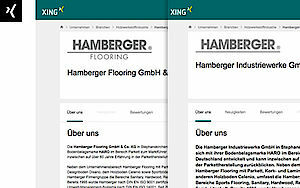 You will find us on Facebook, Pinterest, Flickr, XING, Twitter and YouTube. Visit and follow us, get to know the company and the people behind it and join in open dialogue with us. How do I create a fashionable vintage style in my home? Can I install a wooden floor in the bathroom? 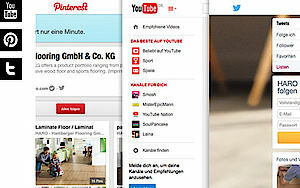 What are the latest colour trends? How do I design my patio as an outdoor living space? 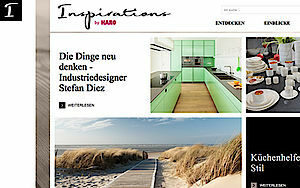 The free "Inspirations by HARO" online magazine allows you to discover lifestyle trends and provides insights into architectural projects or the lives of interesting personalities. Reports on different travel destinations or cultural events as well as tasty recipe ideas provide inspirations for you to discover your own adventures.